We will work with you to help you make solid decisions on your project. The landscape construction process can’t begin until you know what you want - you need a plan. Depending on the magnitude of your project, your plan might not necessarily have to be a drawing; but you need a plan. We will guide you through the obstacles and options, and help you make a plan to improve or reinvent your space. Can you already see the design in your head well enough to move forward and lay it out on the site? Do you need to see an artist’s rendering to really envision the project? Do you need a landscape architect? 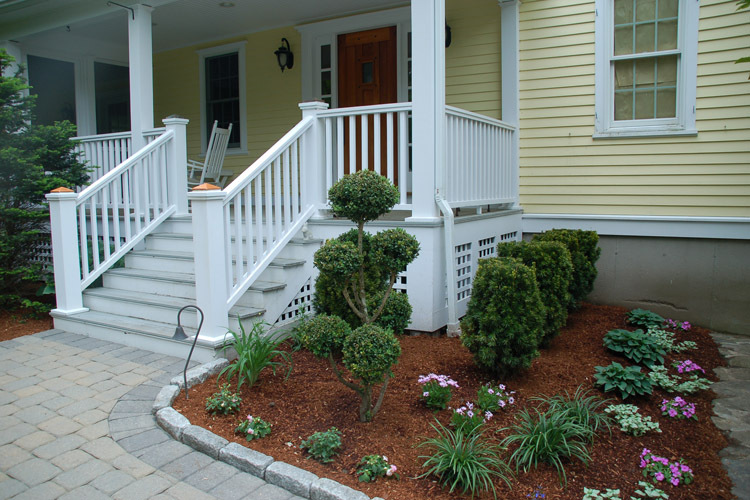 We will work with you to help you make solid decisions on your landscaping project. If you have a number of projects in mind, we will help you set priorities and schedule your projects in the most efficient order. If your dreams are bigger than your budget, we can help you plan your project in phases over time. Once you have a plan and you are ready to go, we will help you build it right. The quality of our landscape construction is above industry standards because we pay attention to the details, never compromising on fundamentals. We have forty years of on-site experience, we keep up with advances in our industry, and we are committed to getting it right. We perform our work in an organized manner and we tidy up the site at the end of each workday. We want our finished product to exceed your expectations. In our four decades of experience we have built solid relationships with the best people in the landscaping industry and related trades. These relationships allow us to seamlessly coordinate all aspects of your project. We take great pride in our work and we really love what we do! Please let us know if there is a landscaping project we can help you build.